It's happening again, another season is almost in the books, and Survivor fans are anxious to have their key questions about the finale answered. Will Laurel finally turn on Dom and Wendell? Will Dom and Wendell be the first tied vote? Will Survivor actually force an entire cast to spend an entire season on something as ridiculously named as David vs. Goliath? As always, our challenge is to predict how each juror will cast their vote, or at least their order of preferences for the remaining players, and thus, who will win Survivor: Ghost Island. The TDT scribe roster from last season has now added two more voices, in Andy Baker and Ryan Kaiser, so that would be a lot of prose to wade through, if we each gave our thoughts in full. Instead, we've divided (but probably not conquered) the verbiage, so you can hopefully skim this in slightly under 10 hours. You're welcome. We individually ranked juror preferences for each of the people in the Final 6 (as well as the remaining players' perceived preferences for each other), then averaged each pundit's number for a particular juror (or potential juror), to come up with a consensus order. Full results are in a table at the bottom, should you be so inclined. Because we know everyone loves tables. 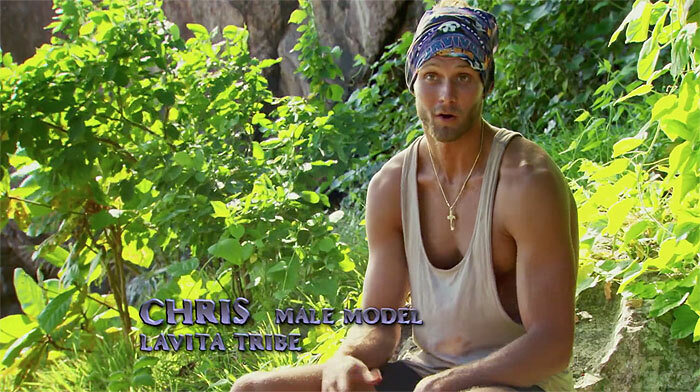 Andy Baker - A lot of folks see Chris voting for Domenick because the Dominator won their early-merge war. I don't see it -- and thankfully, the TDT crew agrees with me. There's a reason we saw that brief scene of Chris forgiving Wendell for siding against him in the early days of Naviti (when they reunited on Yanuya): they established a bond as they crushed challenges together, and Chris—a college rock-slinger—won't turn on a teammate. Should Wendell get gunned down before the F3, Chris may reluctantly vote for Dom (given that everyone at Ponderosa will give him grief if he doesn't); a plausible alternative scenario: he'll throw a "you get second place" charity vote at Sebastian or Angela (and in the process, guarantee that Domenick doesn't get the distinction of being a unanimous winner). Ryan Kaiser - Of the top contenders, Domenick and Wendell, Libby has spent several more days in the game with Domenick thanks to the time while Wendell was on Yanuya. Domenick was also responsible for saving Libby over Bradley (Dom must have thought Parvati 2.0 was less of a threat than the self-proclaimed Boston Rob/Kim hybrid). In fact, Domenick was responsible for most of Libby’s characterization that we saw, so I feel the two are tied in a way that tells us he will get Libby’s jury vote. 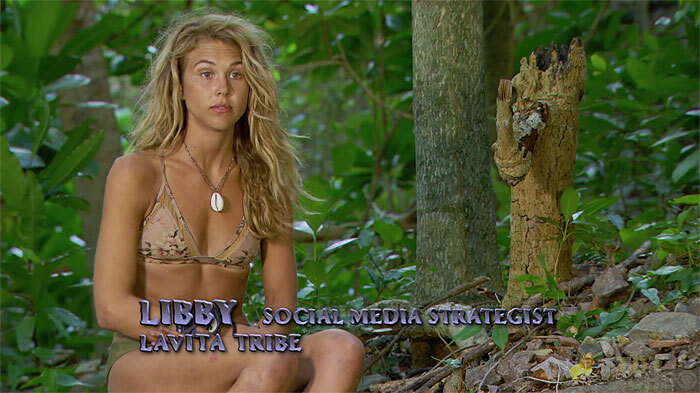 If Domenick isn’t an option, then Libby will likely go to his right-hand man Wendell. If both are out, then something truly shocking has happened, but I’d see Libby settling on an original Malolo, likely Donathan over Laurel since Donathan has been more willing to shake up the game. Angela and Sebastian are without a prayer when it comes to getting this Christian girl’s vote. Jeff Pitman - Wow, we seem pretty sure Des will end up voting for one of the two guys she was trying to make a move against. Since that's pretty much all we saw of her the entire season, we don't have much more to go on. So it would be funny if we're completely wrong about this, and she casts a vote for Laurel, who thwarted that effort. 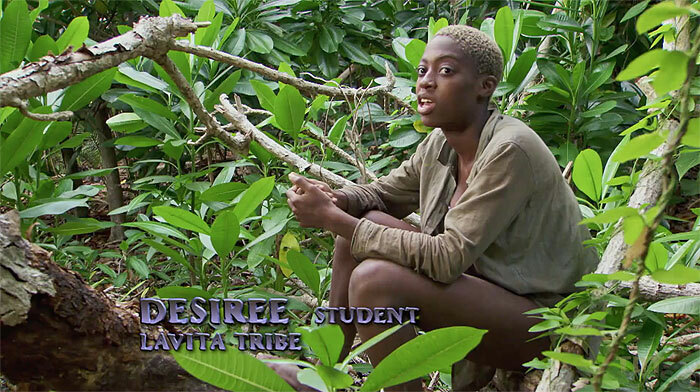 Desiree was an aggressive Big Move-maker, and her style, at least in her exit episode, probably aligns more closely with Domenick's. But when trouble came for Des, Wendell seemed slightly more mellow about it all, so maybe that's enough to tip a vote his way? Jeff Pitman - This is Sebastian's best hope for a jury vote (probably), and we still think Jenna's slightly more likely to reward Wendell or Domenick. Of those two, Wendell was on Yanuya with Jenna, and they never lost a challenge, so times were good. On the other hand, Domenick took out Bradley, who was one of the original Malolos' oppressors on Malolo II. In theory, if both original Malolos still playing managed to reach the Final Three with, say, Angela, Jenna might be inclined to vote for Laurel, who was also with her on Yanuya... in contrast to Donathan, who didn't follow through on Jenna's underhanded plot to blindside him while having him save her with his idol, and instead played it for himself, sending Jenna to the jury. Pat Ferrucci - Well, I mean this one is a little hard since Jenna barely spoke all season, but we think she'll lean toward voting for the younger guy, Wendell, rather than the older guy Dom. It's between those two, of course. Lastly, she'd vote for her cuddle partner and now boyfriend, SeaBass, but even he's a distant third. Jeff Pitman -Will the secret youngster who was the poster child for Malolo's demise give the million to the Naviti dad, who enforced post-merge Naviti Strong? Or someone else? Michael was never on any pre-merge tribe except Malolo, Dom was never on any pre-merge tribe except Naviti. They are the standard-bearers for their original tribes. Michael will probably respect Dom for being that perceived Naviti leader. Like Domenick, Wendell didn't meet Michael until the merge, and Wendell almost single-handedly beat Michael's tribe in a lot of pre-merge challenges, which may also merit respect. It looked like Dom was almost ready to work with Michael around the time he went to the jury, and that may be enough to make Michael vote for him. Apart from the big two, Donathan and Laurel were both original Malolos, although neither was part of Michael's alliance there. And both declined to stay Malolo Strong post-merge. 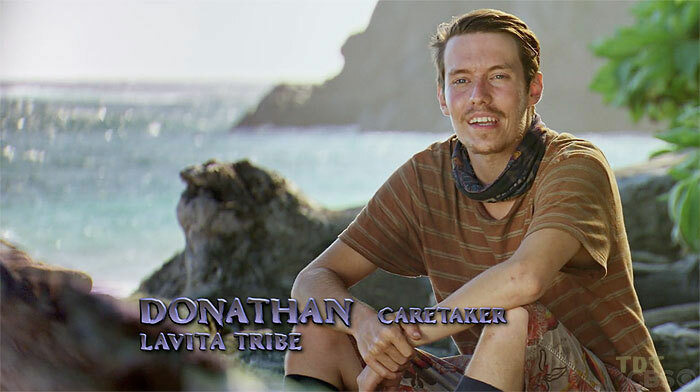 But Donathan seemed slightly closer to Michael, so he might be Plan C.
Pat Ferrucci - With Michael, we know he's going to lean toward the more athletic and visible castaways. 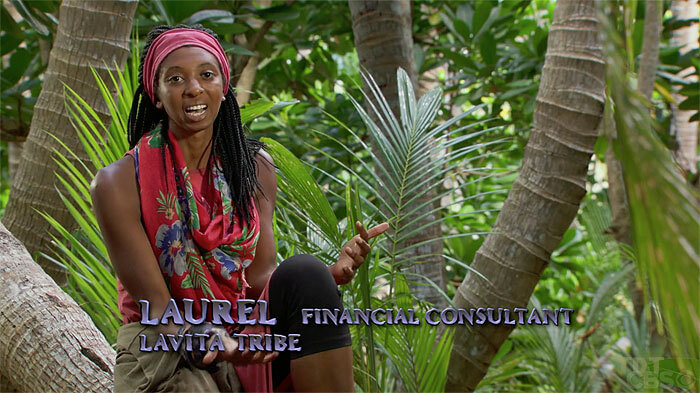 I mean, come on, do you think a guy who seemingly spent all his time looking for idols, plotting moves and being verbally kissed by Probst for his athleticism is going to vote for, um, Angela? Nope. We're thinking Dom's couple immunity wins and idol usage makes Michael drawn toward him. Wendell is an easy second choice. Then it gets complicated, but Donathan found an idol, so we'll go with him. Jeff Pitman - How do we decide how Chelsea will vote, since she was essentially edited out of the season? Who knows? Like a lot of these picks, we were fairly evenly split between Dom and Wendell, and nobody else. Chelsea spent the most time with Domenick, though, so he might have a slight advantage in winning Chelsea's jury vote. Ryan Kaiser - The question even bigger than “Who will be the Sole Survivor," for me, is “What will Kellyn’s gut tell her to do?” She’s been frustrated by all of Domenick and Wendell’s power and advantages in the game, but it’s likely her gut will have to pick one of them in this final vote. Going back to the Desiree boot episode, Domenick and Kellyn had several interactions that looked like a power struggle between two leaders of what were eventually opposing alliances. It’s tough to say with certainty whether Kellyn will or won’t hold any ill feelings toward Domenick over a few of their tiffs, but my gut says she’ll put any aside and credit Domenick as the stronger player over Wendell if their alliance holds strong. If the guys are ghosted before the end, then she’d credit whoever put the most work into accomplishing that, and at this point, that’d be Donathan. Kellyn’s going to award gameplay, which leaves Angela and Sebastian completely off her ballot. 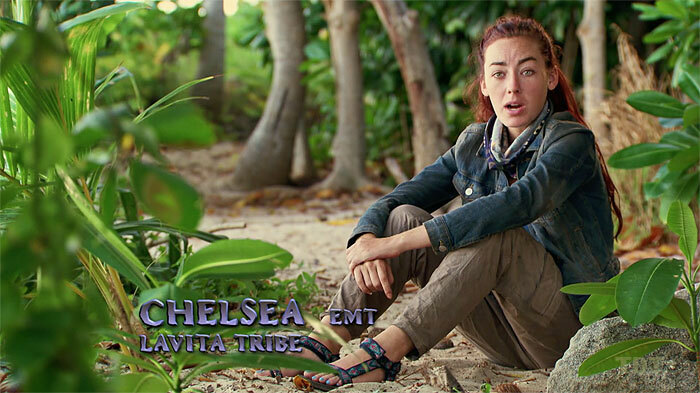 Andy Baker - Given that she's said approximately 127 words this entire season, it's really hard to know where her heart and mind (and gut—although if there's anything we've learned this season, it is to ignore that part of ourselves) will guide her. Which is why, I suppose, we're split on Dom and Wendell, with the latter getting the slight edge. 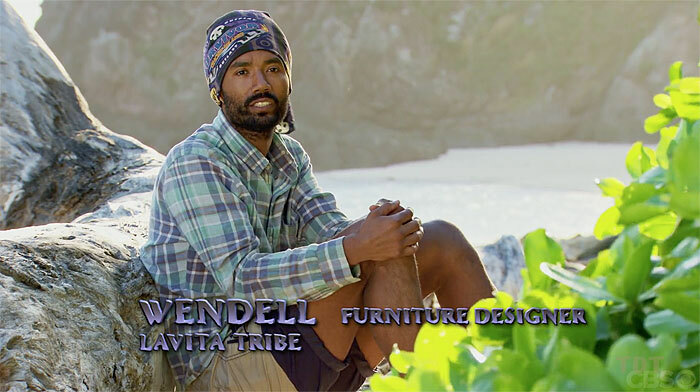 Personally, I think that there will be a groundswell of support for "Wendell as Sole Survivor" at Ponderosa, and that impressionable players like Angela will sign on for a Wendell win. 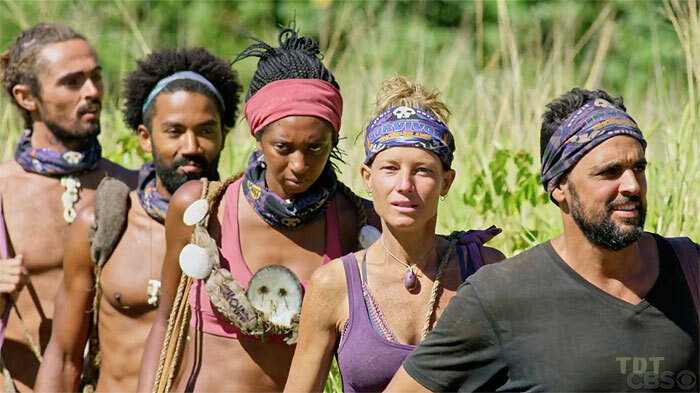 Bottom line: When you have two players who worked together and appear to have comparable résumés, jury members are going to vote for the player they like, and I think we've seen enough footage of Dom and Wendell's social games over the course of the season to give the edge here to Wendell. If neither front-runners make the F3, though, all bets are off: Laurel is as good a guess as any (for being aligned with the power couple), but who knows, maybe she'll write down "Seabass" because it sounds a little like "sea slugs," and we know how much she likes those. Ryan Kaiser - Donathan has already said he’s voting for Domenick over Wendell, so that’s at least one mystery solved when it comes to jurors choosing between the two, but where will he rank his Day 1 ally Laurel? I think this entirely depends on how the rest of the game plays out, but if this longstanding alliance of four is the final four, and Donathan loses the firemaking challenge, then unless Laurel wins immunity and chooses to take Wendell or Dom to the final three over him (lol) I don’t think he’d hold his final placement against her. Playing together for the entire game will likely hold enough weight in Donathan’s heart for him still cast his vote for his girl Laurel. Donathan’s vote will lean more emotionally, but that also means that if Laurel ends up putting Donathan on the jury, either by voting him out or sending him to a death by fire, then he will 100% vote for Domenick (or Wendell if Dom’s already out) and Laurel will need to go into hiding to avoid the wrath of Aunt Patty. Jeff Pitman - The most likely scenario here is that Laurel is headed to the Final Three with Wendell and Domenick. But if that somehow falls through, will she vote for her fellow original Malolo (Donathan) or someone else? It's probably a closer decision than it looks here, but we have Laurel voting for Wendell. They were very closely aligned ever since the first swap, and that consistency is part of why Laurel has felt sufficiently safe to not flip on the two big dogs. Laurel's also a superfan, and seems inclined to reward gameplay. So if Dom makes the finals but Wendell doesn't, he'd most likely get her vote. Still, she has had a close friendship with Donathan since Day 1, and he would certainly be at the top of her list if she, Dom, and Wendell are the last three people to join the jury. Pat Ferrucci - We know that Laurel just absolutely loves Dom and Wendell. She'd jump on a sword to make sure one of them win. She'll spend final tribal begging her fellow jurors to vote for one of those two. In the end, it's clear she had a closer connection to Wendell though, so he gets the top slot. Dom is obviously a close second. And, of course, Laurel worked with Donathan all game, so he's third. 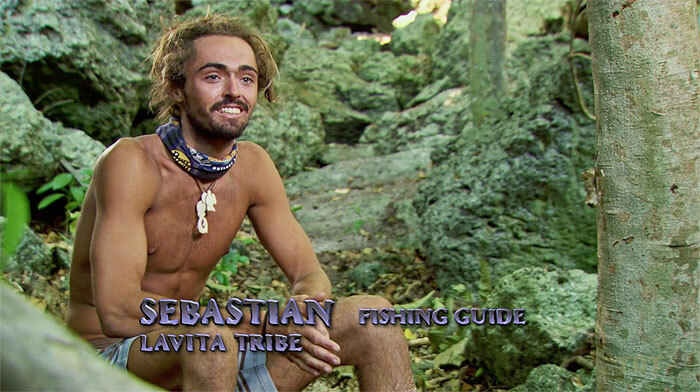 Jeff Pitman - As with Chelsea, we've heard virtually nothing from Survivor Seb the entire season, apart from his opinions on various types of candy, shells, and hair that smells like deceased rodents. Oh, and he's stoked to have Kellyn's extra vote, which he may or may not remember to use before it expires at the next vote. But for picking a winner? All we really have to go on is that Wendell picked up and returned Sebastian's special shell at the second swap, and that Dom had a feud with Sebastian's Florida bro, Chris. 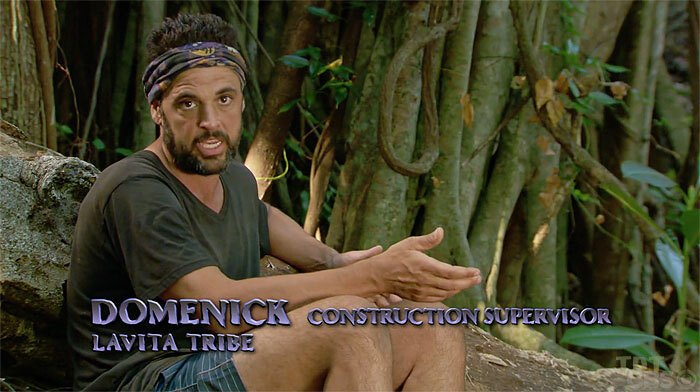 Apparently, that was enough for (almost) our only unanimous pick: Seb votes for Wendell! Now that we've declared that so definitively, he'll probably vote for Angela, or something. Jeff Pitman - Oh, right, here's the other unanimous vote. (Actually, it's my fault we weren't unanimous about Wendell voting for Dom, too, whoops.) It's inconceivable to think that no matter how Dom ends up on the jury, it would be in some manner after which he would not vote for his closest ally, Wendell. They're both players, and Wendell even allegedly has a (unaired, to this point) habit of telling people they're leaving, which Domenick would respect. Unless they're both jurors, in which case, Laurel would have to pull the trigger on a blindside at F6, and the other one would have to lose at firemaking. That's not to say it can't happen. But it can't happen. Andy Baker - If Wendell heads to Ponderosa, he'll do three things before Final Tribal Council: build everyone beds from the broken pieces of their shattered hopes and dreams, sign a contract to play Survivor at least two more times, and make sure that everyone is voting for Dom. Should he fail (he won't), or if Dom joins him on the jury (THE DARKEST TIMELINE), he'll look to reward one of his goats (and thus, claim his or her victory as his own): Laurel first and foremost, followed by Sebastian. Which means, my friends, that should the final three be Angela, Donathan, and Seabass—LORD HELP US ALL—that a million dollars is going to be spent on candy. So that's the end of our projections. There are a lot of Dom/Wendell decisions where we're pretty evenly split. There's not much to go on for many of the exisiting jurors, and the potential jurors almost outnumber them. So the final vote total is hard to project. With the current jurors, we see a 4-3 Domenick edge over Wendell. But the potential jurors are tilted in Wendell's favor, 4-1-1 (Wendell-Dom-Laurel). Could we finally see a tie? Those 6? Either Dom or Wendell, with the other getting the 4. Either way, as long as one of them ends up winning, it'll be a satisfying finish, despite the many weeks of frustrating non-moves that preceded it. And in the event someone other than Dom or Wendell wins? That'll be one of the most shocking finales, ever. 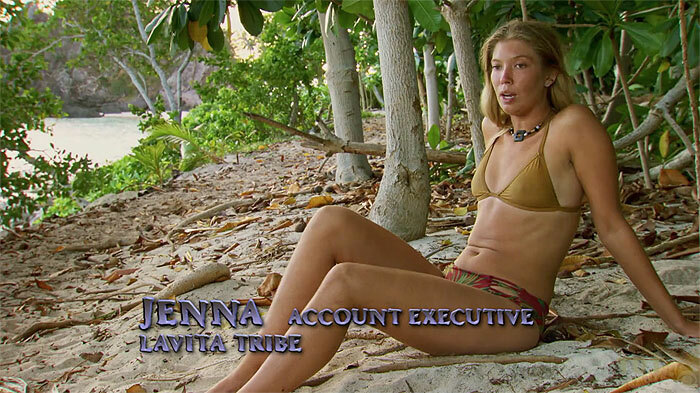 A Tribe of One: "Jury Jeopardy 2.0"
The Purple Rock Podcast: "Jury Jeopardy"
The RHAP Survivor blogs: "Jury Jeopardy - Ghost Island"